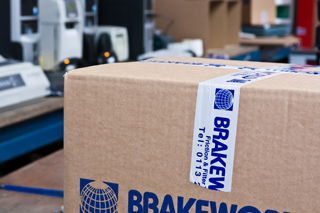 At Brakeworld we pride ourselves on smooth-running administration and highly efficient delivery procedures, to make sure that you receive your brake pads, brake discs, brake calipers, brake shoes, brake drums, or other friction or filter product as quickly as possible. 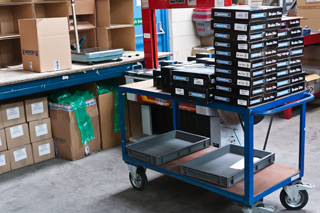 We prefer to receive orders directly into our system via Autonet or TecCom. These are available 24/7 and will instantly confirm stock availability and prices. There is full integration with catalogue and cross-referencing facilities, as well as giving you direct access to your account. But of course, we still welcome orders placed by conventional phone or fax. All orders placed before 17:30 from Monday to Friday will be despatched on the same day, for a guaranteed next day before noon delivery. Orders placed after 17:30 will be despatched on the next working day. Saturday deliveries are possible, on request. Our service covers the majority of the UK mainland but, if you are outside this area, please call our sales office on 0113 236 1686 for delivery times. Deliveries are made using our own transport or parcel carriers. The partnership between Brakeworld and our carriers has a proven success rate, which is such a vital element of our service. If you want to speak to someone personally, our office hours are Monday to Friday from 08:30 to 17:30. Although we make extensive use of computers to give you an efficient service, your calls will always be answered by a ‘real’ person based at our offices in Leeds. Email: sales@brakeworld.co.uk We highly recommend Internet Explorer 8 or higher to other browsers for optimum functionality.